← “Close Your Eyes, Hold Hands:” The inspiration behind the novel. A vegetable garden? Food for the soul. Note the verb. In your mind’s eye, conjure a backyard vegetable plot. Imagine activity and effort. Visualize stooping. Lifting. Tilling. Seeding. Planting. Watering. Weeding. Thinning. (I abhor thinning. I haven’t the heart to rip from the soil the small, fragile leaves that will become lettuce or carrots or beets.) There are more — many more — words that buttress that single verb, “garden,” but you see my point. There is a lot of work before you get to harvesting. Savoring. And (yes) eating. Moreover, I imagine if I added up the costs of my wife’s and my vegetable garden, it would not be a profitable venture. The rototilling, seeds, manure, pots, tomato cages, fertilizer, and hay alone might cost more than if we had bought the same vegetables at a farm stand or grocery store between July and October. But even if that’s not the case, when you factor in the hours and hours of our labor, our vegetable garden can’t possibly make fiscal sense. And yet neither of us can imagine a summer without it. The same, I am sure, goes for all of our neighbors in the center of Lincoln, Vermont. Most of us have vegetable gardens, and many of us have some combination of blueberries and strawberries and raspberries, too. The irony in my case is that I grew up loathing all vegetables except petit peas from a can and corn on the cob. I’m not sure I ever ate fresh vegetables other than corn until the summer I was 18 years old, when the woman who would become my mother-in-law taught me that peas didn’t actually come from a can. Consequently, I had never gardened (there again is that verb) until my wife and I moved to Vermont in our early twenties. My wife did not have to drag me into the effort kicking and screaming, but I remember watching our neighbor Clark Atkins — who had to have been well into his seventies by then — as he used wooden planks to walk a pretty serious rototiller off the back of his pickup, and thinking how I might have seriously underestimated how much work this garden might be. But I have never regretted it. I know my wife feels the same way. Gardening is much like biking for me. My mind wanders and I find myself solving problems. Think of that great expression, “the shower principle.” I first heard the term from the fictional Jack Donaghy on the now defunct sit-com, “30 Rock.” How does Donaghy define it? “The shower principle is a term scientists use to describe moments of inspiration that occur when the brain is distracted from the problem at hand — for example, when you’re showering,” Donaghy explains. I have certainly corrected flaws in whatever book I am writing while gardening, and understood some of my characters a little bit better. Moreover, I wouldn’t say I approach gardening with a Zen-like serenity, but only because I approach nothing with a Zen-like serenity. Still, I grow a little calmer than usual in the garden, I become a little less intense. I take an almost parental pleasure in nurturing the plants as they grow, and the work is never a chore. And I know that I enjoy the garden most in the first half of the summer, before the lettuce has gone to seed and the first cherry tomatoes are ready to pop into my mouth. After all, by August, despite our ministrations and care, the garden will start to look a little ragged and unkempt. By late September, when we are pulling the last of the carrots and the beets from the soil, it will look downright terrifying. The tomato plants will be dangling from the cages like the tentacles of dead man o’ war jellyfish on the beach. But then we will put the garden to bed for the winter and allow it join a world that all around it is growing quiescent. The parallels with our lives are, for better or worse, inescapable. So why do we garden? Because it connects us to that very world and reminds us on some level that we are a part of it. Because it feeds our soul as well as our stomach. Because, pure and simple, it makes us happy. 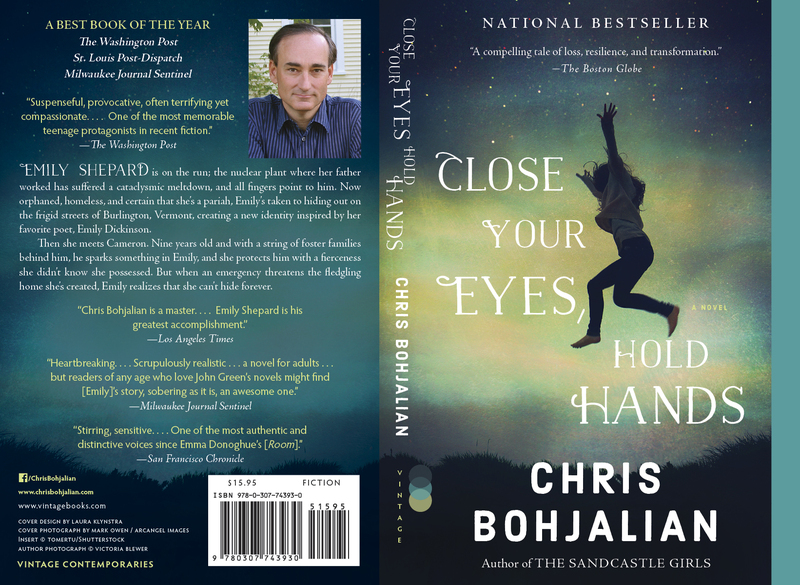 Chris Bohjalian is the author of eighteen books, including his forthcoming novel, The Guest Room. His other novels include the New York Times bestsellers Midwives, The Sandcastle Girls, and The Double Bind. 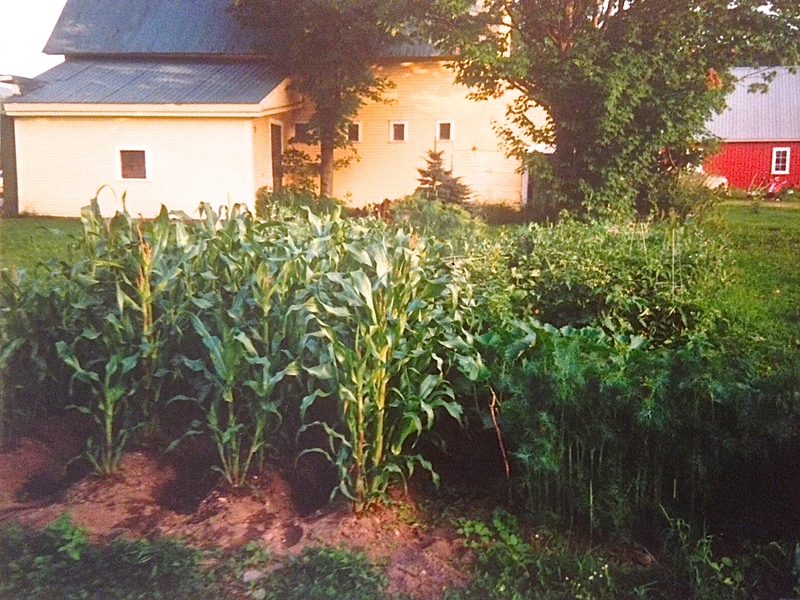 This entry was posted in Uncategorized and tagged Bohjalian, garden, Vermont. Bookmark the permalink. 1 Response to A vegetable garden? Food for the soul.